Penny brings more than 30 years of experience in multi-disciplinary consulting work to the Invistec team. 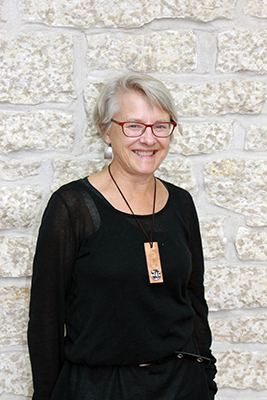 Following receipt of her Bachelor of Landscape Architecture Landscape degree many years ago, she worked at EDA Collaborative for 20 years where she became an associate partner and later at Stantec, where she joined the leadership team for the urban development group in Edmonton. In 2013 she founded Balance Landscape Architecture Inc. as a solo firm with the ability to focus on fewer key projects and as a means to gently ease into retirement. Through Balance LA, Penny shares her experience and provides senior leadership to the Invistec emerging landscape architecture department. While Penny’s background includes a wide variety of projects, from campgrounds and trail planning, to urban design and naturalization projects, her focus now is to plan and design projects with the highest level of respect for the natural environment. This means treating rainwater as a valuable resource rather than a liability and working with the engineering team to explore feasible LID techniques for stormwater management. It means planning neighbourhoods to encourage walking over driving and providing healthy and sociable recreation opportunities such as community gardening. It means providing natural and attractive landscapes that eliminate the use of harmful pesticides and herbicides or excessive use of treated water for maintenance. The general public has become more accepting and understanding of a more natural approach to land development and in many cases, this approach has resulted in cost savings for the developer.